Hydro Clean uses truck mounted steam cleaning systems. Truck mounted steam cleaning is the method of cleaning preferred by carpet manufacturers. Truck mounted systems are more powerful, producing more heat, airflow and lift than portable units used by some cleaners. Always ask your carpet cleaner if they will be using a truck mounted system. Learn about our truck mounted cleaning here. Hydro Clean Specializes in upholstery cleaning. We clean couches, sectionals, loveseats, chairs, ottomans, matresses, church pews, restaurant seat backs and office partitions. We clean a variety of fabrics and upholstered items. Hydro Clean removes blood, grease, oils, food stains, drink and soda stains, beer, dead skin cells, dust mites, pet stains, pet odors, dirt, ink and smoke odors from your favorite upholstered furniture. Also be sure to ask about scotchgard protector for your upholstery. Learn about our upholstery cleaning here. The traditional carpet cleaning tool (wand) is great for most carpet. When carpet is heavily soiled, we can also use the Rotovac 360i rotary extractor to power scrub heavily soiled carpet. The tool can perform hundreds of cleaning passes over the carpet in a single minute. The increased agitation breaks up ground-in soil more effectively than a wand alone. More on our cleaning equipment here. Most of our carpet cleaning solutions are citrus or vegetable based. Our anti-microbial treatment is made from pure Thyme. We can also clean with just plain hot water (steam). We also do not add any fragrances or perfumes unless they are requested. Hydro Clean is committed to conserving water and promotes proper waste water management. Our team is also very committed to our recycling program. Hydro Clean does carpet cleaning in homes, apartments, office buildings, restaurants, churches and businesses. Our hours are flexible including weekends and after-hours. Commercial carpet can be cleaned with either hot water extraction or with very low moisture encapsulation cleaning. Commercial or residential cleaning information here. For residential carpet cleaning we use per-room pricing. This means we do not need to measure every last inch of your home. We keep our pricing affordable and we do not bait and switch or try to jack up the bill on you. Our team will make suggestions, but we don’t use any high pressure sales ever. For commercial cleaning we do measure and charge by the square foot as these spaces as usually much larger and take longer to clean. We specialize in pet urine removal and deodorization. A black-light inspection reveals urine spots that are not visible in normal light. The black-light helps us target pet urine treatment so nothing is missed. Our business does not charge to do a black -light inspection. We will also let you know if the carpet is cleanable or if it should be replaced. Info on pet urine removal can be found here. VCT is the common tile found in stores, churches, businesses and schools. We are able to strip the old finish off and lay down 4 coats of new finish. Hydro Clean also offers monthly of quarterly re-buffing to keep the floors looking great between the yearly stripping and re-finish. VCT info can be found here. Hydro Clean removes red stains from carpet. Red stains may be cause by Kool-aid, punch, soda, wine, food or wax. Most red stains will come out or fade significantly if treated properly. If you get a red stain call Hydro Clean Carpet Cleaning and please do not try to treat it yourself. This will only make it worse and harder for a professional to treat. Red stain removal information can be found here. Hydro Clean can clean ceramic tile and grout with our SX-12 tile tool attached to our truck mounted system. We scrub the grout lines with grout brushes and a mildly acidic solution. Our team then sprays the tile and grout with 250-degree water at 1000 PSI. The tile and grout come out looking clean and fresh. Learn about ceramic tile and grout cleaning here. We clean area rugs at our rug cleaning plant in Colorado Springs. Our facility cleans both synthetic and natural fiber rugs like wool and silk. Our dye locking solution on natural rugs keeps dyes from bleeding, running or fading. Rugs taken to our Colorado Springs shop will usually be kept for10-14 days to ensure proper drying and re-treatment if necessary. We will clean your clean Turkish, Indian, Persian, Navajo and Oriental rug. 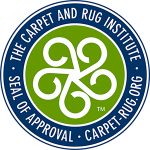 At our plant, rugs are inspected, beaten (dusted), vacuumed, dye-locked, pre-treated, washed, dried, finished and wrapped for delivery. About area rug cleaning. Hydro Clean does water extraction. We can extract large amounts of water from homes or businesses if there is a flood or a bust pipe. If you require restorative drying or water damage restoration, we have partnered with 1800-Water Damage. Their local number is 719-684-9200.